Vladimir Lenin, the leader of the Russian Revolution loved big, fancy, expensive, foreign cars! 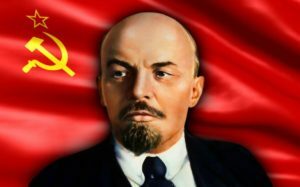 Vladimir Lenin, the leader of the Bolsheviks and champion of the working class did harbour some upper class traits which are not common knowledge, and one of those was a liking for big expensive cars – and houses. There are many stories about the number that he possessed during his short time as leader, but it appears that he did own a number of American Buicks, as well as at least three Rolls Royces! So how did he come to acquire them? The first vehicles came into the hands of Bolsheviks after confiscating the property of the Romanov family. 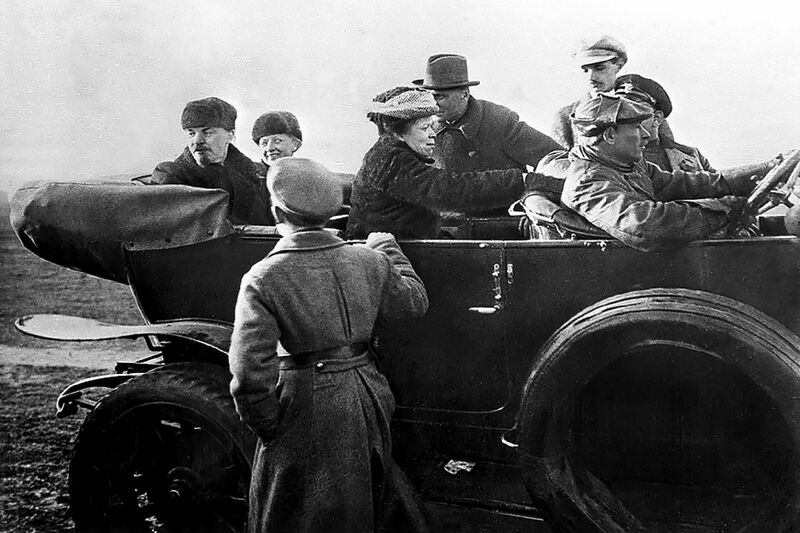 Along came 40 vehicles, including luxury cars, some of which were appropriated by Lenin for his own personal use. He then began to enjoy the good life just like the Tsars as illustrated by this photo taken at the May Day Red Army Parade in Moscow 1918! In late 1918 Lenin was shot twice in an assassination attempt, and in the next few years he developed a number of serious health issues which meant that he spent less and less time in Moscow at the heart of the new Communist government. From 1920 he spent much of his time at his Gorki mansion just outside Moscow – another acquisition from the Russian nobility! Lenin’s unique Roll’s-Royce Silver Ghost was actually purchased on 11 July 1922 from London. It cost £1,850, acquired for a 15 % discount as a side deal of a secret bomber planes engines deal that the young Russian Government had with Rolls-Royce. That fact alone is amazing! Revolutions come and go, but business continues as normal. 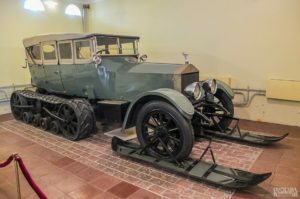 Once the car was purchased, Lenin then set about having it modified for use in the harsh Russian winters, and he turned to Adolphe Kegresse, Tsar Nicholas II’s personal driver. Kegresse was a brilliant French military engineer and inventor of the half-track and dual clutch transmissions. 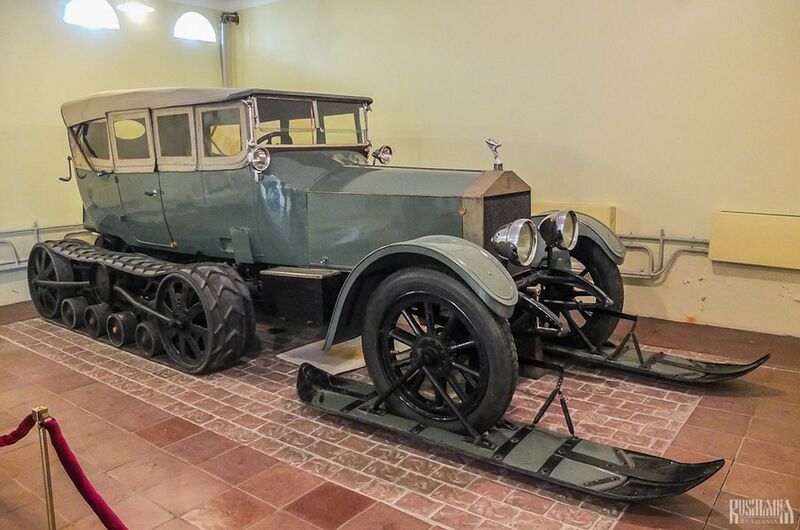 Russian workers manufactured the newly designed caterpillar tracks and skis and attached them to the car, which Lenin used to travel to and from the Moscow Kremlin from his Gorki mansion. And Kegresse became Lenin’s driver. Truth is stranger than fiction! 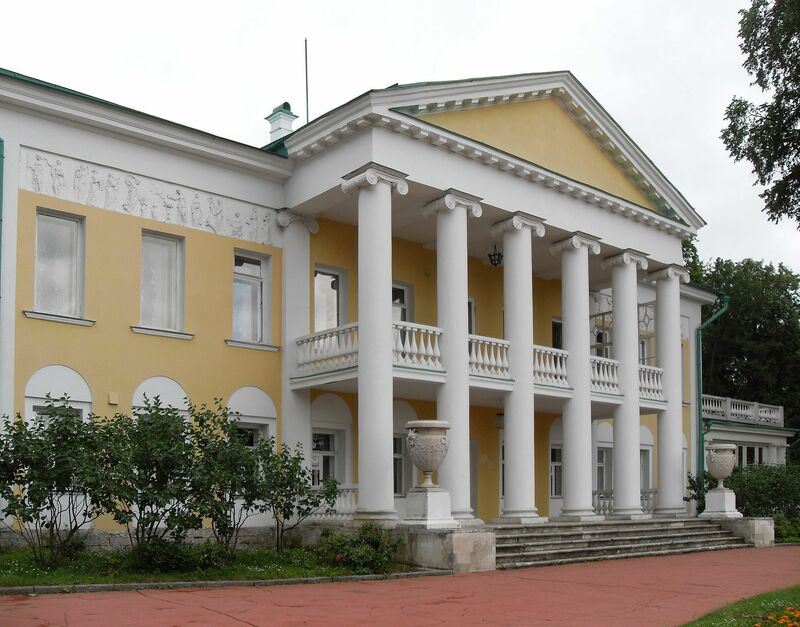 Today Lenin’s Rolls Royce Silver Ghost is housed at the Gorki mansion which is a museum of Lenin’s many interesting possessions. It can be visited on a tour entitled Russian Highlights which is offered by the Russian Travel Centre, Sydney. Or if you book your Moscow stopover with them, they can arrange a personal tour from Moscow to Gorki with your own driver and guide – and it won’t cost a fortune. Contact eetb@eetbtravel.com. Want to keep up to date with all the information and blogs that I have posted each month? 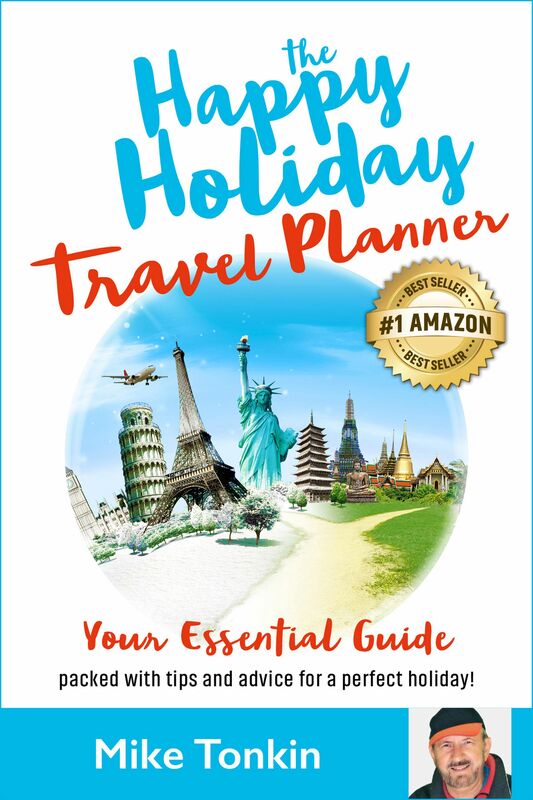 Want to make sure you don’t miss out on any important travel information? Want to hear/see me unravel travel for you? Then sign up for my FREE MONTHLY NEWSLETTER. No waffle, no hard sell – just short and sweet and to the point! Look to the bottom of the page for the sign-up form. Sign up now! And your details are totally confidential. 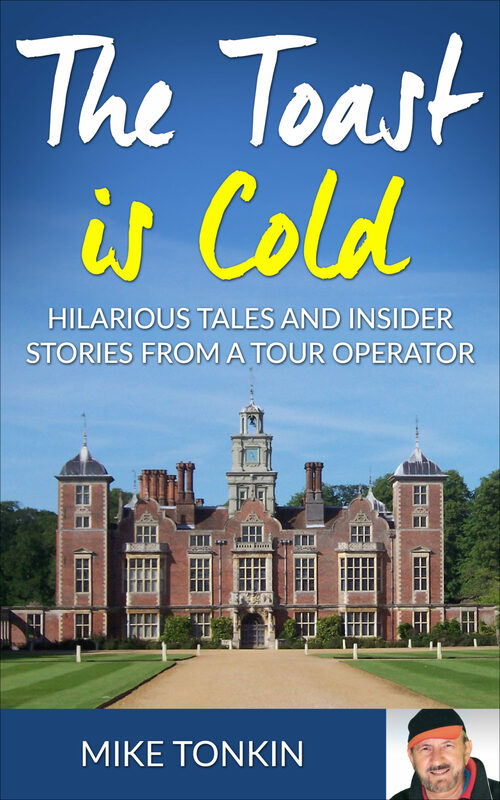 I’ve spent more than 30 years in the travel industry and today I enjoy sharing my experiences and “insider secrets” with others in an entertaining and fun way. On this site l’ll help you to avoid the many pitfalls and traps so that you have that wonderful holiday that you deserve. 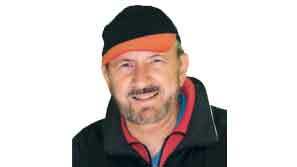 Click on my pic to read more about me. 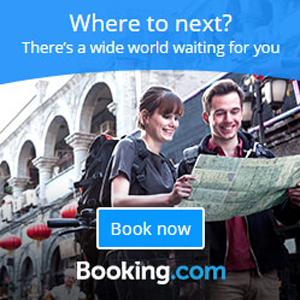 Book your hotel here for best price on Booking.com and help me to keep Unravelling Travel for you.